Traffic accidents occur on a daily basis, and unfortunately, many of these accidents are fatal. Usually, the results of these accidents are even more devastating and life threatening when a commercial truck is involved. These trucks are also sometimes referred to as big rigs, 18-wheelers, tractor-trailers and semi trucks. Did a negligent commercial trucker cause harm to you or a loved one? Our truck accident lawyers can help! 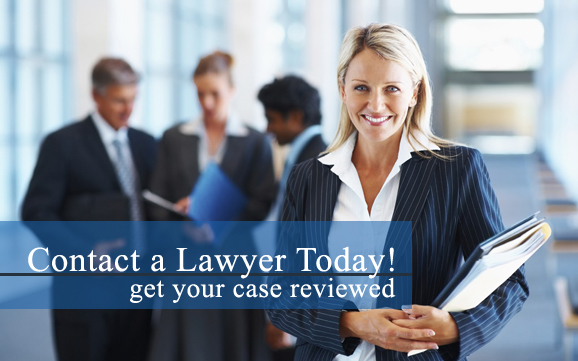 Contact our personal injury lawyers today for more information regarding your potential lawsuit. A study conducted in a recent ten-year period shows that the number of fatal accidents involving large commercial trucks has risen by ten percent. Four percent of all injuries in traffic accidents and one out of every eight fatal automobile accidents involve large commercial trucks. If you have been injured by the negligence of a commercial truck driver, it is essential to speak with an experienced lawyer. Our attorneys are experienced in protecting the interests and rights of those harmed in commercial truck collisions, and our lawyers have a history of obtaining successful settlements and verdicts for victims of these accidents. We understand how the commercial trucking business functions, and we stay on top of the latest in commercial truck accident information and news. Commercial trucks are heavier and bigger than other vehicles on the road, which explains why 77 percent of those hurt and 86 percent of those fatally injured in commercial truck accidents are the passengers or drivers of smaller vehicles, including cars, motorcycles, and SUV’s. Those individuals and their loved ones are left to face a life-altering tragedy, while the commercial truck driver often escapes with minor injuries. Our lawyers fight to hold commercial trucking companies and truck drivers liable for the harm they cause by their careless or reckless driving. A wrongful death settlement may be obtainable for those who have lost a loved one in an accident due to a negligent commercial truck driver. Were you or a loved one involved in an accident with a commercial trucker? Our personal injury lawyers can help! Contact our truck accident attorneys today for more information regarding your case.